The primary research emphasis is genetic improvement of catfish leading to the development and release of improved germplasm to commercial producers and solving water quality problems limiting production and affecting catfish flavor quality. 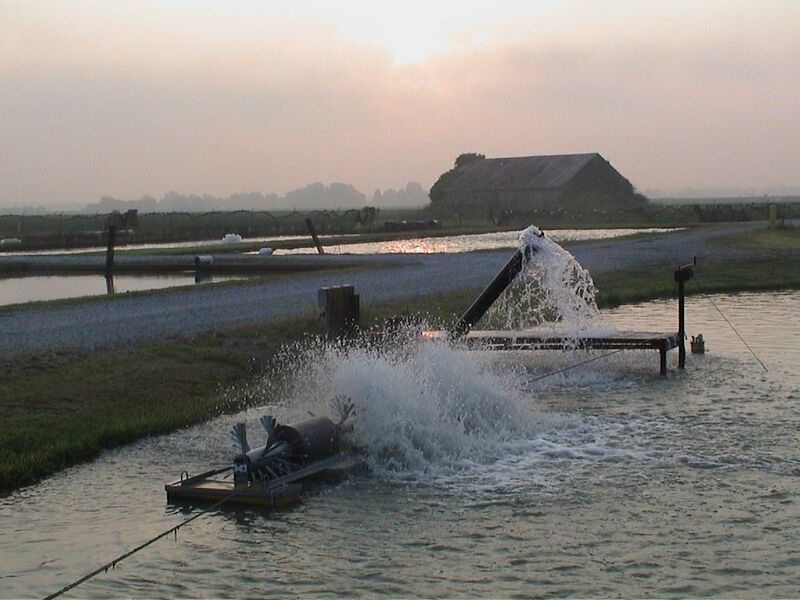 The release of the NWAC103 catfish line was completed in early 2002 and has been the major impact from unit research. The breeding program now implements a multi-trait selection program with the goal of improving multiple traits simultaneously in a catfish line. In summary the major issues are: 1) continue to improve and obtain performance documentation on the unit's improved catfish lines selected for multiple traits (growth, disease resistance, processing yield, and reproductive performance), 2) document performance and impact of NWAC103 line released to commercial producers and provide technology support, 3) continue to increase the number of genetic markers on the unit's high-density genetic linkage map and identify markers linked to specific traits. Catfish Genetics Research Unit research is performed at three facilities on the Stoneville campus. The CGRU hatchery facility contains tanks for fish rearing, a sample processing laboratory, and office space. We also maintain forty seven 1/10 acre ponds, twenty eight ?? acre ponds, fourteen 1 acre ponds, and five 2 acre earthen ponds. In the Thad Cochran National Warmwater Aquaculture Building operated by Mississippi State University, the CGRU maintains six multi-user laboratories and office space. The CGRU also administers the USDA, ARS, Mid-South Area Genomics Laboratory, located in Bldg. 1 of the Jamie Whitten Delta States Research Center. The co-location of unit scientists with MAFES scientists at the Thad Cochran National Warmwater Aquaculture Center promotes daily interactions between state and federal scientists, extension specialists, and scientists in the diagnostic laboratory. Cooperative research projects are funded through specific cooperative agreements with Mississippi State University Forestry and Agricultural Experiment Station and College of Veterinary Medicine, Auburn University, th University of Mississippi National Center for Physical Acoustics. Collaborative research projects are also conducted with other ARS scientists at the USDA, ARS Fish Health Laboratory (Auburn, AL), the USDA, ARS H. K. Dupree Stuttgart National Aquaculture Research Center (Stuttgart, AR), and the Food Flavor Quality Research Unit (New Orleans, LA).